AYFT | What Does AYFT Mean? 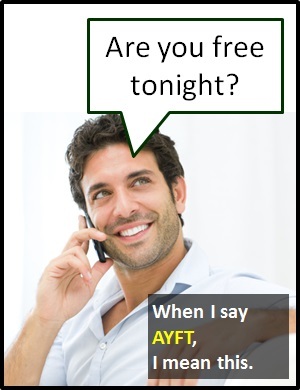 AYFT means "Are You Free Today?". Definition: Are You Free Today? AYFT is commonly used as a prelude to asking someone out on a date or asking them to do some work.